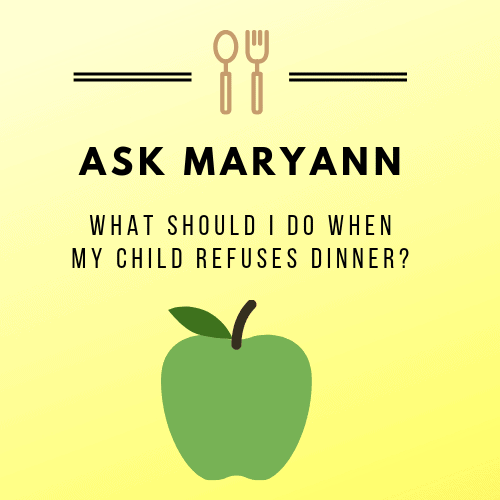 Ask Maryann: What Should I Do When My Child Refuses Dinner? Q: My child has been refusing to eat dinner and then begs for something else to eat 15 minutes later. What should I do? Be sure to stop snacking for at least two hours before dinner so your child builds up an appetite for dinner. 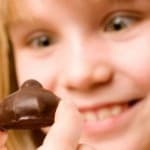 See How Many Times a Day Should Kids Eat? Consider developing a side strategy so there are one or two items you know your child will eat at the table. It can take time for young children to learn to like foods so having sides can help them fill up while they’re learning. See The Side Strategy That Has Saved My Family’s Mealtime. When choosing meals, consider the whole family. Sometimes your child gets his favorite and other times someone else does. This way everyone gets a turn. 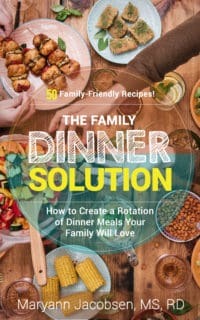 See 6 Simple Strategies for Pleasing the Whole Family at Dinnertime. Don’t allow snacks after dinner as he may hold out for them. If your child goes to bed a while after dinner, consider adding a bedtime snack. That way, when he asks for food after dinner you can tell him his bedtime snack is coming in a couple of hours. If you stay consistent, your son will catch on and will stop asking for food right after dinner. 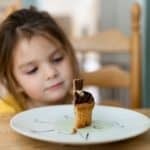 See How to Bolster Your Child’s Self-Control Muscle. Toddlers’ appetites are erratic so sometimes they are just not hungry for dinner and that’s okay as long as his growth is on track. Ask the Dietitian: What Constitutes Catering to a Child? Ask the Dietitian: What Should I Do When My Child Says He Dislikes Certain Foods? My 18month old refuses to eat solid food. He looks at it and shivers. When he does finally try something he will gag and sometimes throw up. He is capable of eating though because he eats graham crackers every day. any ideas? I sometimes say things like “keep in mind that your next meal isn’t for another 12 hours.” But I don’t think my kids have a good enough concept of time to really get that one. It’s a tricky situation because I don’t want a treat to be a reward for eating dinner but it sure feels that way sometimes. I also really understand the fact that they want a treat and I don’t want to put treats on a pedestal by withholding it. I don’t want to be the inspector general and look at their plates in some judgmental way to make sure they “deserve” a treat. 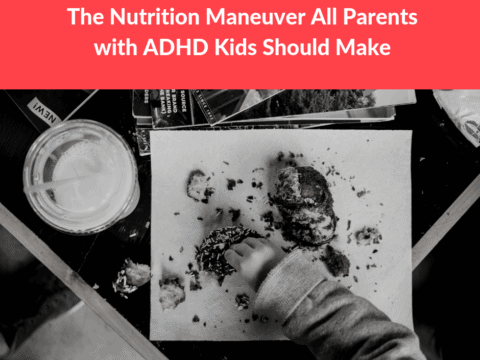 As background – my kids generally eat very balanced diets and are active so when it comes down to it, I usually say yes to the treat because I feel like in the long run, it’s fine. But still I wonder: what’s a mom to do?